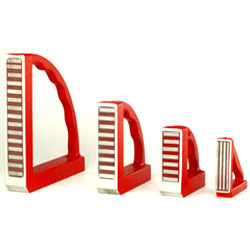 Pioneers in the industry, we offer electro permanent magnetic coil handling system, magnetic base, magnetic holder, fixed right angle, variable welding magnet and magnetic vice from India. Owing to our vast knowledge of this domain, we manufacture and supply the optimum quality of Electro Permanent Magnetic Coil Handling System. 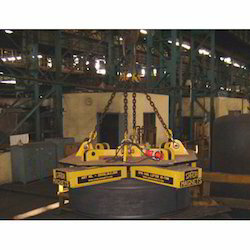 For manufacturing of the offered electro permanent magnetic coil handling systems as per the industry laid norms, we make use of latest technology. Owing to its optimum functionality and easy operation, the offered electro permanent magnetic coil handling systems are highly demanded. 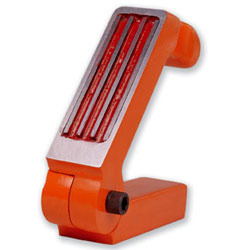 With the firm commitment towards quality, we are engaged in providing Magnetic Base. At our sophisticated infrastructure facility, the offered base is manufactured in compliance with the industry set guidelines. 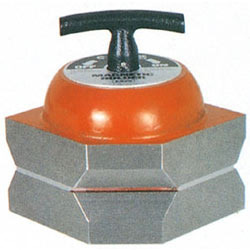 To suit the demands of customers, we are providing this base in different specifications. 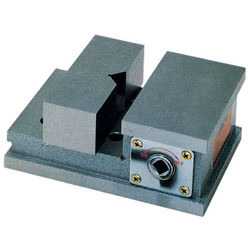 Precision ground vice with flatness, parallelism and square ness within 5 Microns. 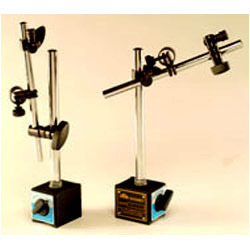 Magnetic force acts from both sides in a vice-like fashion. 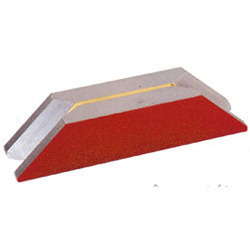 The upper surface and both sides are magnetic and are thus suitable for processing work pieces that require a right angle square. 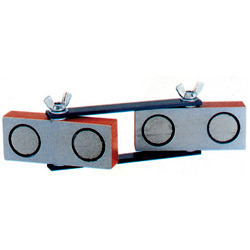 Looking for Permanent Magnetic Tools ?